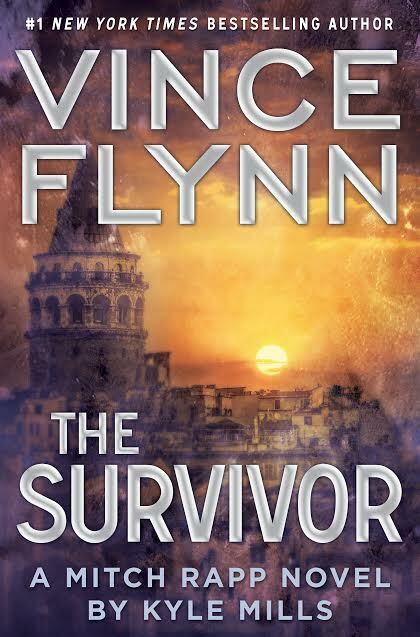 The latest Mitch Rapp book, The Survivor, comes out on 10/06/2015! So you’ve read all of Vince Flynn’s books over that past fifteen years, but can’t remember everything about our fictional hero, Mitch Rapp? Or, have you missed some installments? If this is the case I encourage you to spend the time to catch up before reading The Survivor. It’s worth it! While there’s nothing in this refresher that will spoil anything reading The Survivor wouldn’t, there are some details (both here and in the book) that would spoil other books in the series. So, with that in mind, either keep reading this, or go directly to your bookshelf or bookstore. But, for those of you who just need a refresher, I’ve summarized everything you need to know about Mitch Rapp and the fictional universe (I call it the Rappverse) created by Vince Flynn. In 1997, Vince Flynn self-published his first book, Term Limits. It is the only one that does not feature the hero he became famous for creating, Mitch Rapp. However, the universe he created for Term Limits is the same universe and the same “supporting cast” of characters he uses for the next book, and the continuing series. In 1999, Flynn published Transfer of Power, which introduced CIA Operative Mitch Rapp to the world. Flynn used the characters he’d already established in Term Limits and dropped Rapp right into the middle of it. Transfer of Power is about a terrorist who took the White House hostage. The President was locked safely in his bunker, but an expert in safe cracking was brought along (by the terrorists) to drill his way in. Rapp slipped into the White House undetected and, well, you’re just going to have to read it to find out everything else! For the longest time Transfer of Power was the first book in the Mitch Rapp series, which is why it’s listed as the first book on Amazon. Then in 2010 American Assassin, a prequel to the original books, was published. A little more than a year later, Kill Shot, the sequel to American Assassin was released. Vince Flynn intended to turn American Assassin and Kill Shot into the first two books of a prequel trilogy. Sadly, he was never able to complete that trilogy as he passed away in June of 2013. Think of it like this: Transfer of Power is the original Star Wars movie (Episode Four) and American Assassin is Episode One with young Anikan Skywallker. While American Assassin and Kill Shot were written a decade after Transfer of Power, they technically take place before it in the chronological order of the series. This is why American Assassin is also listed as the first book of the series on Amazon. Now that we’ve gotten that all squared away it make sense, right? Good, let’s move on! The correct chronological order of the series is as follows: American Assassin, Kill Shot, Term Limits*, Transfer of Power, The Third Option, Separation of Power, Executive Power, Memorial Day, Consent to Kill, Act of Treason, Protect and Defend, Extreme Measures, Pursuit of Honor, The Last Man and … drum roll… The Survivor! Mitch Rapp’s parents are both deceased, his father having died of a heart attack when Mitch was a child. He has a living sibling, a brother named Steven, who runs a hedge fund department for Salomon Brothers in New York City. Other than his brother, the closest thing he has to a family is Irene Kennedy and her son, Tommy. Rapp was an exceptional lacrosse player in high school and had scholarship offers from both the University of North Carolina and Syracuse. But, his decision to attend Syracuse had less to do with lacrosse and more to do with Maureen “The Dream” Elliot, Rapp’s high school sweetheart. Mitch met Maureen when he was sixteen — she was running track, he was playing baseball. Maureen’s father was a captain in the navy, had three girls, was a fan of lacrosse and liked Rapp. Elliot attended Syracuse to pursue a career as a sports announcer, but never got the chance to live her dreams. While returning from a semester abroad, Maureen, along with everyone else onboard on Pan Am Flight 103, was killed in the terrorist attack that took the airplane down over the small town of Lockerbie, Scotland. Rapp was devastated and broken, and hid from the world for a week, resurfacing just long enough to attend her funeral. Half way through the service Rapp realized he was forever changed. Irene Kennedy was the young Director of the Counter-terrorism Center when Rapp landed on her radar. An exceptional athlete, Mitch ended his collegiate career as one of the greatest college lacrosse players of all time. His major in International Business, and minor in French (which he speaks fluently), and his athleticism combined with the rage he’d felt from losing the love of his life, was enough to interest Kennedy for a special project she was working on. She began watching Mitch and approached him several months later. Upon being approached by Irene, Mitch asked her why she’d been following him, catching Kennedy off-guard. That was one of the many things that impressed Kennedy and her boss, Thomas Stansfield, about Rapp. He was fit, aware, motivated and smart. The truth was, that half way through Maureen’s funeral service, he stopped feeling sorry for himself and started craving revenge. Rapp actually expected the CIA to come calling, now they had. Mitch was a unique find for the type of work the CIA had in mind for him — he had no military background. This was both a plus and a minus. The downside was that he needed a lot of training with weapons and understanding tactical aspects of operations. In short, he needed to learn how to slip into a country, “eliminate a target,” and slip out undetected. The benefit to his lack of training was that he didn’t have the stiff, predictable movements of a soldier. Also, he could be molded into what the CIA needed. To do that, Mitch (just twenty-three at the time), was sent to the one man Kennedy and Stansfield trusted to turn him into a weapon they could unleash on terrorists: Stan Freaking Hurley. Okay, his middle name isn’t “freaking,” it’s Albertus. But Stan Freaking Hurley sounds better, and it’s more fitting! Hurley ran his own training compound and continued to do active duty work for the CIA. Unlike Kennedy and Stanfield, Stan was not excited about Mitch’s lack of training and initially refused to take him on as a recruit. Sensing his disproval, which Hurley didn’t hide, Rapp challenged him to what was essentially an MMA match just minutes after arriving for his training. At the time, Hurley was pushing sixty, but he didn’t – and still doesn’t – like talking about his age. Being the grumpy, cocky, old cuss that he is, he accepted Mitch’s offer. It didn’t go well for Stan, who had drastically underestimated his young recruit. In short, Rapp threw him a quick beating, shocking the veteran CIA operative. “Technically” Stan won the match, though he cheated to do so. Before the match he and Rapp agreed to a series of rules, and one of those rules was to not hit below the belt. With Rapp’s legs wrapped around Stan’s neck, cutting off the oxygen supply to his brain, Hurley was close to blacking out. In a last ditch act of desperation, Stan grabbed Mitch by the gonads and squeezed – which forced Rapp to tap out – handing the victory to Hurley. Over time, Rapp proved himself to Hurley. Six months after showing up at the farmhouse, Mitch was ready to go on “offense” for the CIA. Irene Kennedy was instructed by Stansfield, the Director of the CIA (though he was the Deputy Director of Operations at the time), to create a team designed to take the fight to Islamic Extremists on their soil. A list was made, and the Orion Team was created to track down each name on it, and kill them all. Rapp’s first solo mission was in Istanbul. His target was Hamdi Sharif, a fifty-eight-year-old Turkish National arms dealer who worked for various terrorist organizations. Mitch was given very specific instructions on how and when to kill Sharif, and he disobeyed nearly every one of them. Regardless, he got the job done, and that was all that really mattered. This success quickly propelled Rapp to Orion Team’s most productive asset, and America’s greatest counterterrorism weapon. Years later, after his cover was blown by a politician who leaked his info to the media, Rapp was put in charge of running The Orion team, though he stayed active in the field as well. Rapp’s main goal upon joining the CIA was to track, find and kill Rafique Aziz, the terrorist who planned the attack on Pan Am Flight 103. Aziz is also the main antagonist in Transfer of Power. Beyond just being an elite lacrosse player, Mitch was also a world-class triathlete. He’d posted three top-five finishes, and one first place finish in the famed Ironman triathlon competition held each year in Hawaii, thus his code is name Iron Man – after the triathlon event, not the super hero nickname of Tony Stark. During his time with the CIA Rapp is crossed by several people. His one constant, and most loyal friend, is Irene Kennedy. After Stansfield passes away (from cancer), Irene is named the new Director of the CIA, the position she currently holds. Divorced, Kennedy is married to her work, and she’s never really had a steady love interest throughout the series. She and Mitch aren’t just close friends, they are more like family. Nothing between them has ever been sexual. Her son, Tommy, loves Mitch like an uncle and both looks up to, and admires him. The other person that has always been there for Rapp is Scott Coleman, a former Navy SEAL who now owns his own company that does freelance work for the CIA. Scott is the perfect friend to Mitch and a very important character in the series, as are several of the men on his team. Whenever Rapp’s back is to the wall, Coleman is standing right next to him, helping to blast their way out of whatever trouble they found themselves in. Later in the series Mike Nash is introduced. He’s another friend to Mitch, but different from Coleman. Nash has a family, a wife and kids, and Rapp takes it upon himself to help get Nash out of the field and into a cushy desk job with the CIA. Mike wasn’t exactly happy about his move from operative to wearing a suit, but eventually he understood that Mitch acted with good intentions stemming from his own personal hardships. It’s worth noting that their friendship has been slightly strained ever since Nash technically became Mitch’s superior at the CIA. Five years younger than Mitch, Mike has trouble standing up to Rapp. Then again, so does everyone else. Especially when Mitch is upset, angry, irritable, or running short of patience – which is pretty much all the time. During the terrorist takeover of the White House in Transfer of Power, Mitch meets a pretty reporter named Anna Rielly, the White House correspondent for NBC. The two developed a romantic relationship, fall in love, get married, and start planning the rest of their lives when things take a sudden, devastating turn for the worst. A contract killer named Louis Gould was hired to kill Mitch. Gould attempted to kill Rapp by blowing up his house with Rapp inside. Unbeknownst to Gould, Mitch had just stepped outside when the house exploded. Rapp was thrown into the Potomac River, saving his life. Anna, however, was not so fortunate. She was killed in the explosion, once again putting Mitch though the pain of losing a women he loved. Making matters even more painful, Anna was pregnant with their first child at the time of her death. Eventually, with the help of Scott Coleman and his men, Rapp found Gould and entered his home to kill him. Instead, he’d found that Gould’s wife had just had a baby – a daughter, which she had named Anna after Rapp’s wife. Mitch wasn’t able to kill Gould, though he did expect him to quit taking contracts to kill people, and just live a life with his wife and daughter. As it turns out, Gould is an idiot. Worse than that, he’s an idiot who enjoys killing people. It’s later revealed that he’s taking contracts again, including one that, once again, targets Rapp. Except this time Louie ran into some trouble of his own and confronted Rapp for help. To stay alive they were forced to work together. Rapp was injured, though it wasn’t Gould’s fault, and Louie is taken into custody by Coleman’s men, and interrogated by Kennedy. His exact whereabouts leading into The Survivor are unknown. Since Rapp’s rough beginning with Hurley some twenty years ago, the two have grown close. Hurley’s a mentor and a friend to Mitch, which makes the fact that he’s dying of lung cancer all the more difficult for Rapp. It was revealed in The Last Man that Hurley had six months to live. Mitch is now around forty-four, making Hurley eighty-ish. The Survivor is one of the few true sequels in the series. While the books have a chronological order to them, very rarely has a situation or antagonist lasted from one book to the next. There are exceptions, of course, such as: The Third Option and Separation of Power, Extreme Measures and Pursuit of Honor, and to a lesser extent American Assassin and Kill Shot. If you need a quick brush-up on the plot from The Last Man, which ends two weeks before The Survivor begins, you can check out this recap I wrote a while back. Also, here is a timeline of events from when The Last Man came out, until October 6 when The Survivor is scheduled to hit bookstores. Just in case you weren’t already excited about The Survivor, here’s the nation TV commercial. Enjoy! Pre-order The Survivor now! Next The Survivor is an Instant #1 New York Times Bestseller! Thanks so much for the overview. I ha read and re read all the series I’m on disability tuff times so I’m trying to get the book from the library and will wait for paperback. Keep up the great work! Sorry to hear that! I’m guessing most Library’s will have plenty of this one in stock. Enjoy! Thank you for the synopsis of the series. I started these books a couple of years ago and got hooked on them. I took a break to read another author. I have picked up the same book twice to start back reading them and realized I had read the book. Now I know where to start and complete the series before Survivor comes out. Thanks again.